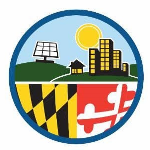 The Maryland Planning Commissioners Association (MPCA) Conference is this Month! The MPCA conference will be held in Gaithersburg on October 25 and 26. This year’s theme is Citizen and Professional Planners: A Vital Partnership. The conference will include a session eligible for 1.5 AICP CM credits on Friday, October 26 from 2:30 – 4 pm. Registration is now open. 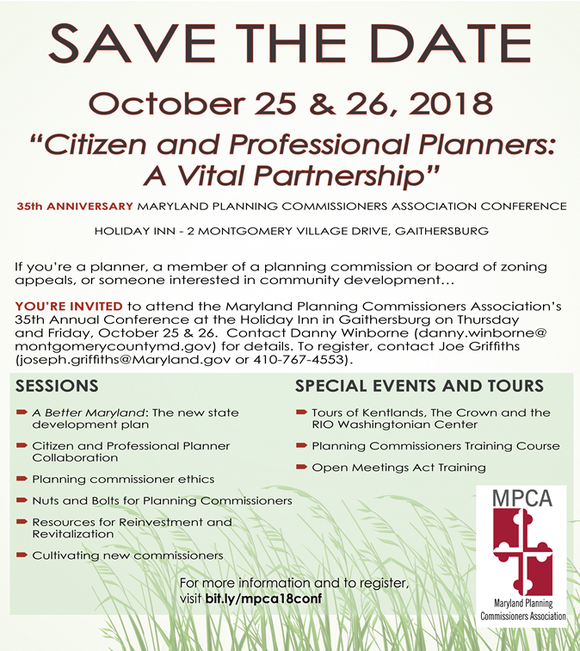 Don’t miss out on this opportunity to strengthen the knowledge base of Maryland’s Citizen and Professional planners and enhance this Vital Partnership! Go to bit.ly/mpca18conf for more information. Planning’s sister agencies are engaging in statewide planning as well. MDOT’s draft 2040 long-range Maryland Transportation Plan is currently available for review, and MDOT is seeking comments through November 15. Every five years, the Maryland Department of Transportation (MDOT) develops a 20-year mission for transportation in the state. The MTP outlines Maryland’s overarching transportation priorities and helps create a larger context for transportation decision-making. Maryland has an extensive statewide transportation network including state highways, toll facilities, state airports, regional airports, commuter bus routes, rail, local bus routes, light rail, metro subway, sidewalks, shared use paths, cargo facilities, and a cruise terminal. 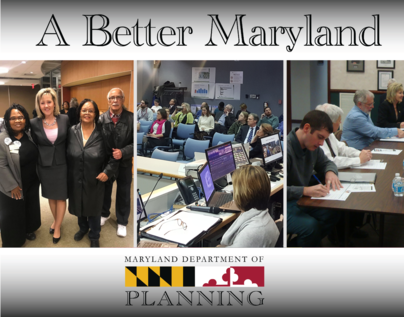 You can learn more about the effort, read the plan, and discover how to comment by visiting the 2040 Maryland Transportation Plan website. Monday, October 15 @ 1 p.m.